Iroquois Falls is a welcoming community with a fresh outlook and many opportunities on the horizon. Here, local businesses thrive and are able to utilize the many resources and opportunities that are available to them. Our Economic Development department ensures that businesses and entrepreneurs looking to expand, seek grants and/or develop a new business are well looked after and given the tools they need to succeed. Why Iroquois Falls? This bilingual town provides a quality of lifestyle desired by many. Not only being a safe community to live and work, Iroquois Falls boasts substantial education facilities, health care services, a recreation complex, golf course, modern senior facilities, independent living residences, and most of all a vibrant, warm and welcoming community. Strategic Economic Vision: Iroquois Falls is a welcoming and progressive community with a diversified economy that embraces change, innovation, prosperity, and a balanced healthy lifestyle. Strategic Economic Mission: Iroquois Falls will welcome economic growth by providing a supportive environment, fostering diversified creative economic activity in collaboration with community and regional partners. Locality: Iroquois Falls is strategically located on the banks of the Abitibi River, just off the Trans-Canada Highway (Hwy. 11), where there is a lot of natural environment surrounding the community. Iroquois Falls is the idea place to live and invest. 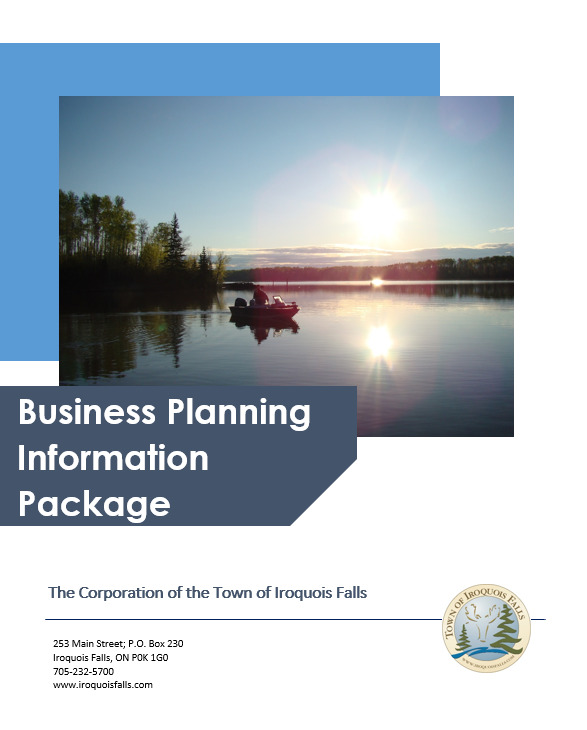 You may click here to view the Business Planning Information Package.